Rain and its excess moisture can without a doubt be one of the most damaging elements for a fireplace or chimney. Over the years, this gradual moisture will deteriorate the mortar between exterior bricks, damaging interior flue joints and rusting your dampers and chase covers. This causes rot, mold, and mildew to develop within the walls and ceilings of your home. One of the easiest ways to prevent these issues is by installing a high quality Milwaukee chimney flue cap. So what exactly is meant by "complete protection"? In particular, chimney flue caps are used to prevent wind from blowing down your chimney, as well as stop any sparks or embers which may travel up the flue from landing on your roof and setting your home on fire. All chimney flue caps we install in the Milwaukee and Waukesha area, in combination with chimney chase covers, are instrumental in keeping animals from nesting inside your chimney and entering your home. 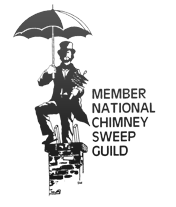 Wisconsin Chimney Technicians installs only the highest quality stainless steel or copper chimney flue caps with our guaranteed lifetime warranty. Spark Arrestor – the physical gate and lid looking piece which prevents the fire embers from escaping and igniting the roof. Mortar Bed – this cement area at the base captures the excess liquid which drips down. The mortar bed will crack over time, yet it still prevents damage to the chimney itself. If your chimney is in need of a new Milwaukee or Waukesha-area chimney flue cap then schedule your Wisconsin chimney services online today or call the professional Milwaukee chimney repair and maintenance experts at Wisconsin Chimney Technicians by dialing (262) 443-5933. 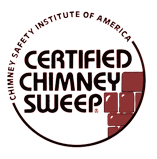 Wisconsin Chimney Technicians is proud to offer a full range of Waukesha chimney services available in Washington, Ozaukee, Waukesha, Jefferson, Walworth, Jefferson, Kenosha, or Racine Counties. Protect your home by contacting us about Milwaukee Chimney Flue Cap Installation services!